I have a six year old so I spend a LOT of time de-staining clothes. 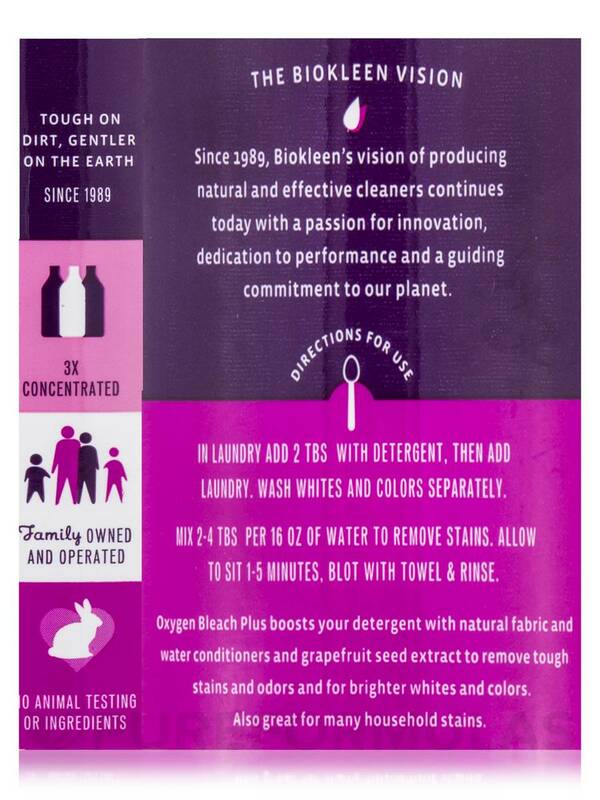 Oxygen Bleach Plus by Biokleen gives me so much more reassurance that after they're spot-washed, they'll be clean. And especially the lights and whites! No more scrubbing! 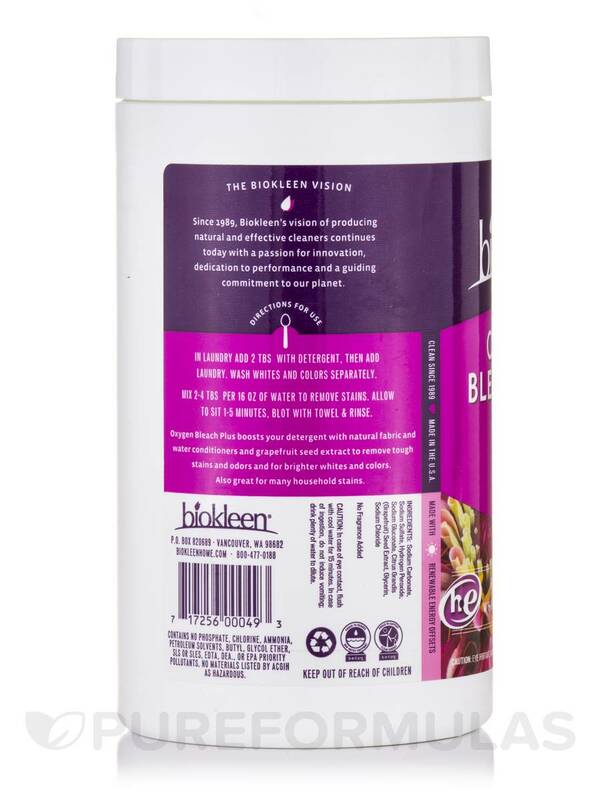 This color-safe formula does more than just brighten colors and whites; natural fabric and water conditioners‚ grapefruit seed extract‚ and special detergent boosters fight stains‚ mildew and corrosion. 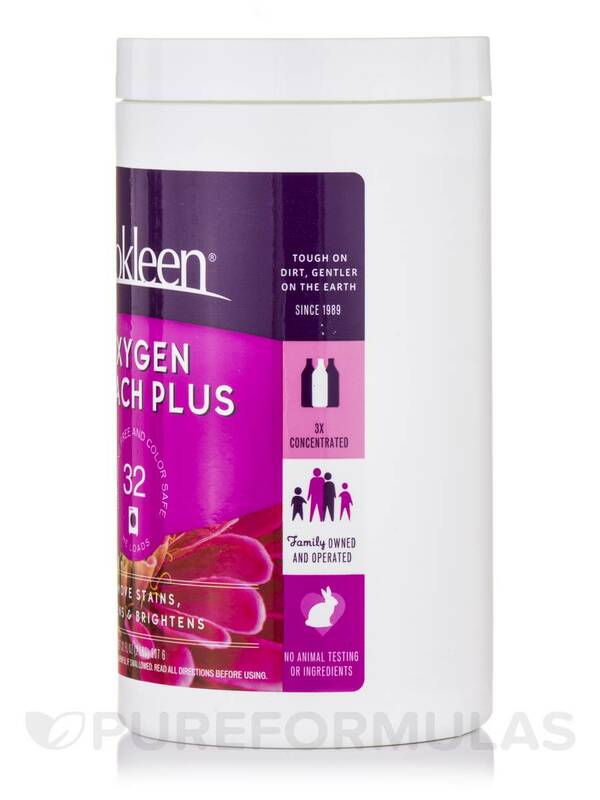 Also great for many household stains‚ including carpet stains. Sodium Carbonate‚ Sodium Sulfate‚ Hydrogen Peroxide‚ Sodium Gluconate‚ Glycerin‚ Sodium Chloride. No Animal Testing or Ingredients / No Fragrance Added. Contains no phosphate‚ chlorine‚ ammonia‚ petroleum solvents‚ butyl‚ glycol ether‚ SLS or SLES‚ EDTA or DEA priority pollutants. In laundry add 2 tablespoons with detergent‚ then add laundry. Wash whites and colors separately. Mix 2-4 tablespoons per 16 oz of water to remove stains. Allow to sit 1-5 minutes‚ blot with towel and rinse. In case of eye contact‚ flush with cool water for 15 minutes. 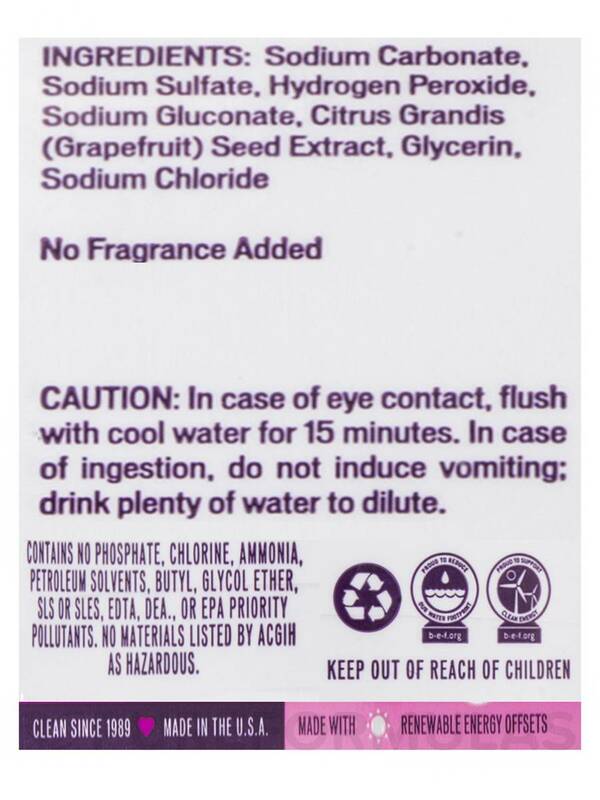 In case of ingestion‚ do not induce vomiting: Drink plenty of water to dilute. 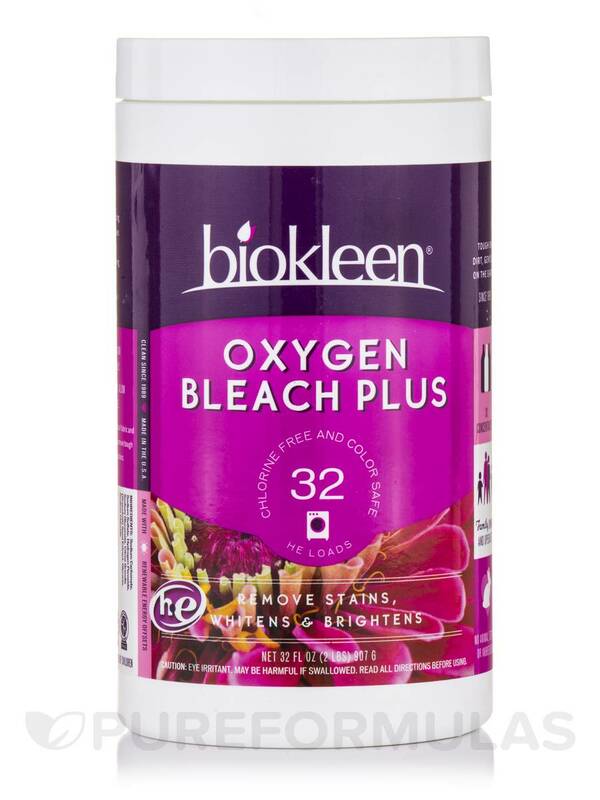 I have purchased Oxygen Bleach Plus by Biokleen several times and continue to like it. I use it with my detergent to get my clothes extra white. I like that it is natural and does not have harsh ingredients. Doesn't come with a scooper.